How does Brickman work? Watch the animation on YouTube! 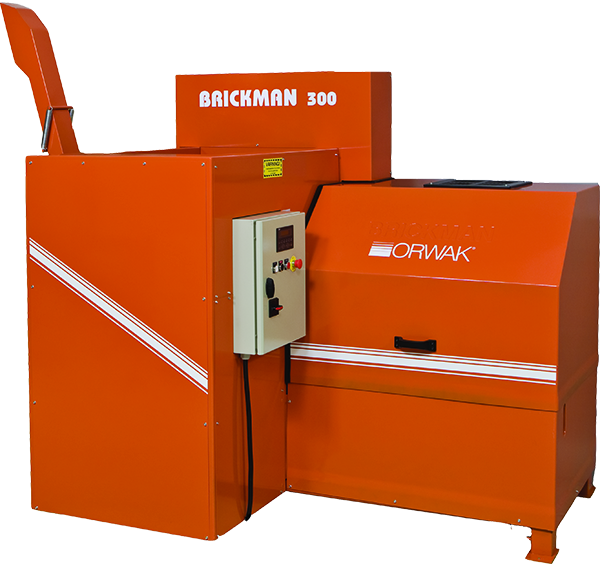 The Brickman product family turns large amounts of waste into small briquettes for recycling. 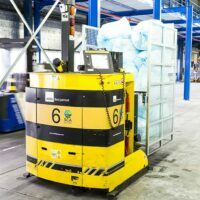 The presses rapidly minimize the volume of waste in a cost-effective way and diminish the need for internal transportation. They keep aisles, passageways and other spaces free from clutter. 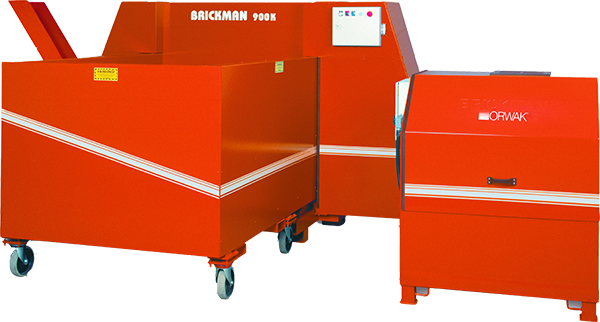 Brickman offers timesaving and comfortable waste handling as the presses can be fed while running – there is no shutter to open when loading the material and the ready briquettes require no binding. 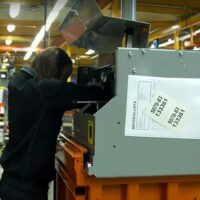 The 300 model comes in several versions, specialized in different types of waste such as cardboard and paper, shredded paper, off cuts from the graphic industry, plastic bottles and aluminum cans as well as beverage containers containing liquid. 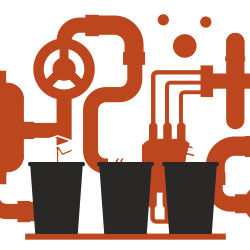 The 900K model is ideal for large amounts of cardboard and empty PET bottles. 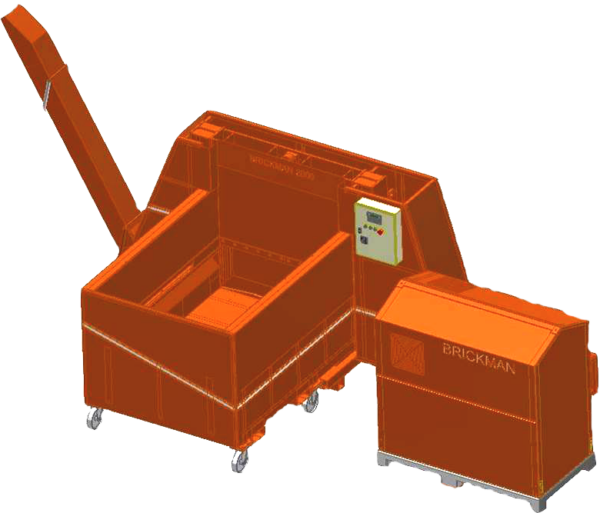 The 1200K model is ideal for large amounts of cardboard and empty PET bottles. 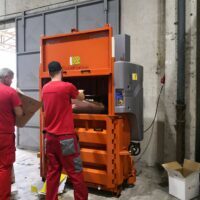 The 2000K model has extra high capacity and can process up to 1500 kg material per hour. It is ideal for very large amounts of cardboard and empty PET bottles.